"Wear these symbols of Heritage with pride on shirt or jacket"
"Please Note, All orders are shipped US Priority Mail with Delivery Confirmation"
Please note Our Shopping Cart Is being Transfered, Please call your order in to us. Native American Indian Cloth Patches for shirts, jackets, vests and hats. Most designed by Cherokee Trails Trading Post. Mail is Priority Mail with tracking and delivery confirmation. 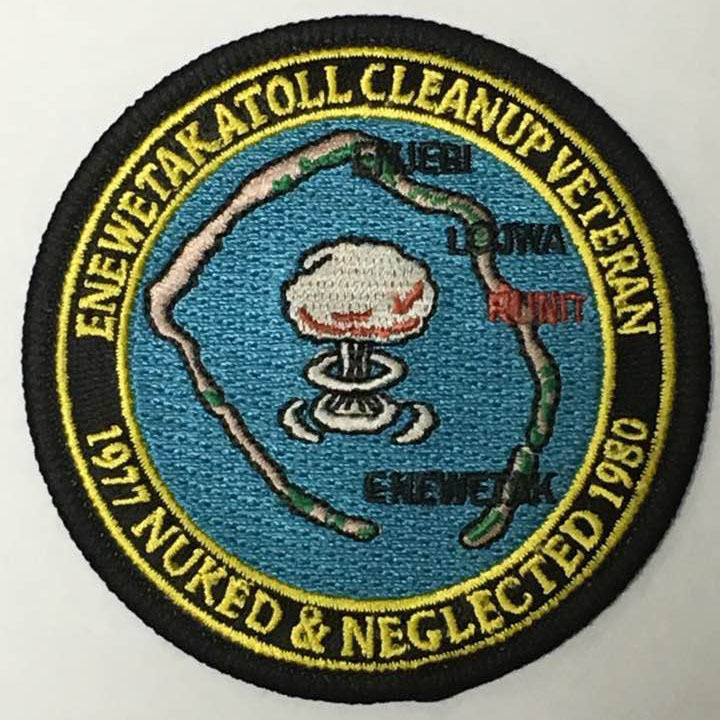 A portion of each sale to go to the Enewetak Atoll Clean Up Project Veterans Face Book page. An Administrator will appoint someone to oversee the account. The funds are to be used to pay for flowers and cards for Members of the Group that Cross over or are hospitalized. 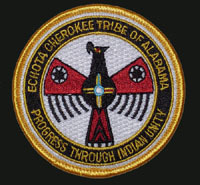 This is the official Echota Cherokee Tribal Logo Patch. 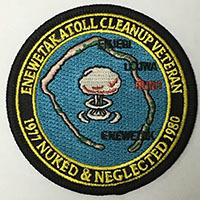 This Patch is 3 inches in diameter and is 100% embroidered. It has a plastic backing for enhanced looks (does not easily wrinkle) and longer life. 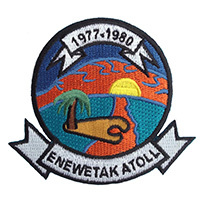 This Patch design was submitted to the Tribe and made only after receiving Tribal approval. 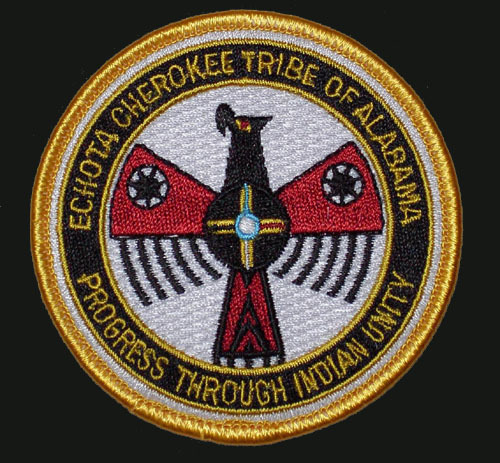 As with ALL items containing the Echota Cherokee Tribal Logo, a portion of sales is donated to the Echota Cherokee Tribe. 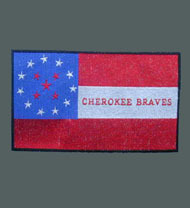 Embroidered 2" X 4" patch of the flag adopted and carried by Confederate Brigader General Stand Waite's Cherokee Regiments during the "Civil War". 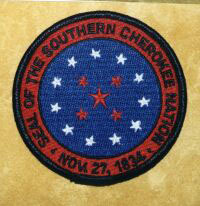 Embroidered 3" diameter patch of the seal adopted by the Southern Cherokee Nation. The Indian Arts and Crafts Association (IACA) is a not-for-profit organization established in 1974 to support the ethical promotion and protection of authentic Native American art and culture. IACA works to stop fraud and abuse within the market for Indian art through education, publicity, authentication and use of our logo to indicate certified ethical businesses. IACA sponsors the largest wholesale trade shows of handmade Indian art in the world twice a year. Members include Native American artists, wholesale and retail dealers, museums, collectors and others who support the goals of the organization. IACA supports and works for the protection of indigenous art worldwide.